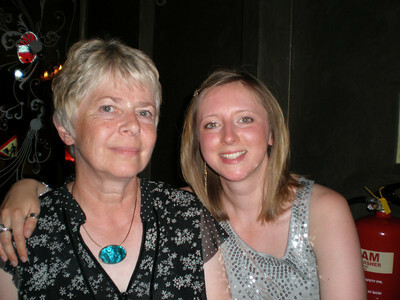 Yes, Phoebe will reach 30 on Monday and no better way than to celibrate than an evening out at a London Bar. Pheebs had managed to reserve a place at the Jewel Bar in Piccadilly, where, unfortunately some people didn’t make on the first hit as they ended up at the Covent Garden venue instead! Doh….. still it was a good evening out and we got a chance to catch up with some of the camping crowd and drink cocktails! Unfortunately, I didn’t stick with the White Russians as they were £7+ each and going down rather well. I think Pheebs enjoyed herself and I know for a fact that everyone else did…..I just hope some of them can remember! 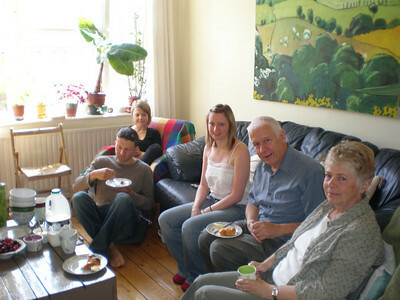 The next day was good as Phoebe decided to make breakfast for us and her parents before they headed back up north. We also managed to take a walk down to the Columbia Road flower market which was really cool as the sun had his hat on. I managed to buy a giant garlic which I’ll attempt not to kill……..and Phoebe brought a small lime plant. The rest of the day once everyone had gone was spent doing absolutely nothing which was fab…..